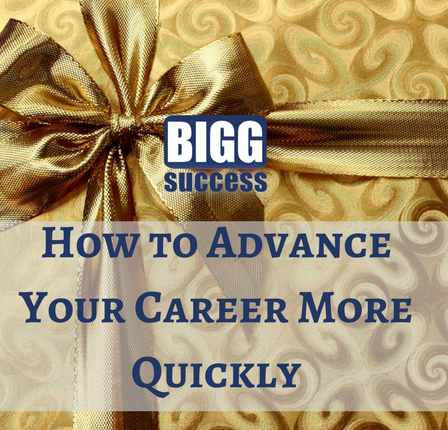 Advance your career by using leverage, one of the most powerful tools in your toolkit. 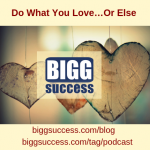 In this post, we’ll share five ways this tool can help you reach BIGG success faster. Leverage is the entrepreneur’s friend. It can help you do more with less. And you can use it, even if you never plan to own a business. 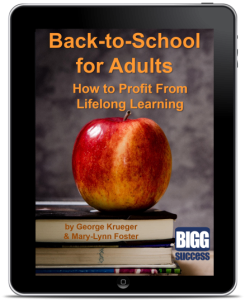 Most people think of leverage with money, but that’s just part of it. We’re going to share things they don’t teach you in school. Expertise isn’t about knowledge. Knowledge is wasted until it’s applied. But you can use your knowledge to act and move things forward. You may bring new insights and/or a different perspective. Talents are gifts which have been developed. You’re born with gifts. You develop talents. At that point, you have something useful. It’s like a manufacturing process. Gifts are the raw material. Talent is the finished product. Is your product fully finished? If not, what do you need to do? If so, how can you use it? Once again, think about problems and solutions. Most people work their network intermittently. When they need something, they reach out. Otherwise, it’s rarely given a thought. The most successful people work their network continually. Of course, networking is easier than ever with social media being what it is. Think about your core 10.
Who are the 10 people you would contact if you got laid off (if you work for someone)? Or if you were thinking of expanding your business (if you’re self-employed)? Don’t wait to reach out. Reach out to them now. Build and maintain that relationship. Note we didn’t say “your experience.” There’s a BIGG difference between a track record and experience. A person can work at a job for 20 years. But they may only have 1 year of experience 20 times if they’re not changing with the times. A track record is about accomplishments (or lack thereof). What quantifiable difference have you made? What are your assets? Most people immediately think of money. But it’s not just the money you have. The way you manage your money can be an asset (or a liability). If you spend less than you make, that’s an asset. Even when the amount of money is small, the mindset is an asset. Because it will create more opportunities for you in the future. But it’s not just about money. Your education is an asset. It can provide you with a unique point-of-view, especially if you have a well-rounded education – whether it’s a formal education or not. Create Your Future Employee vs Entrepreneur – Which is Riskier?